Nature’s Sunshine Silver Shield Rescue Gel supports healthy wound care management. 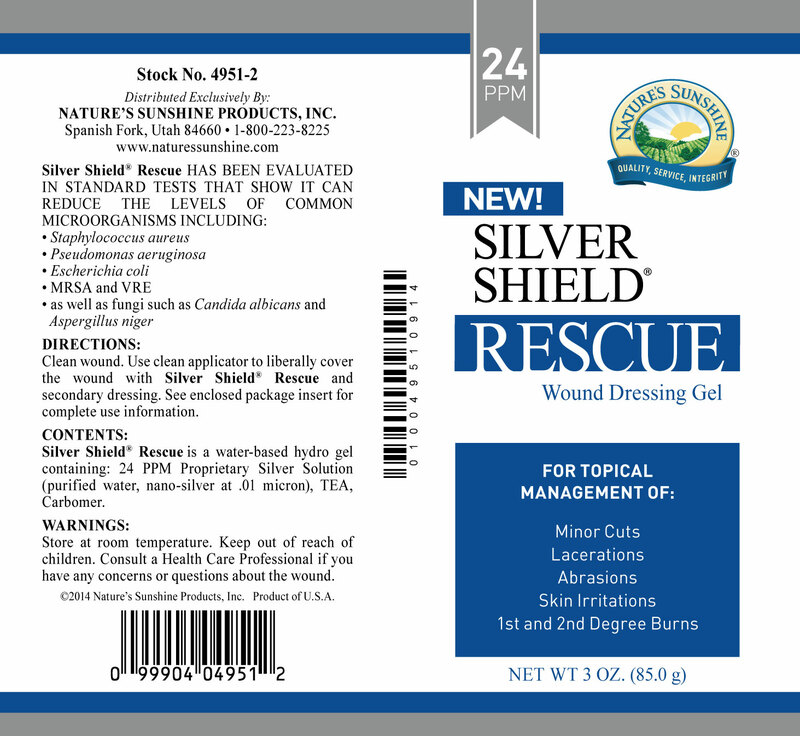 This water-based hydro gel restrains microorganism growth and works well as a topical treatment for minor cuts, abrasions, lacerations, irritations, and first or second degree burns. Tested and proven to help reduce common microorganisms and fungi in wounds, it helps inhibit the growth of Staphylococcus aureus, Pseudomonas aeruginosa, Escherichia coli, MRSA, Candida albicans, and Aspergillus niger. 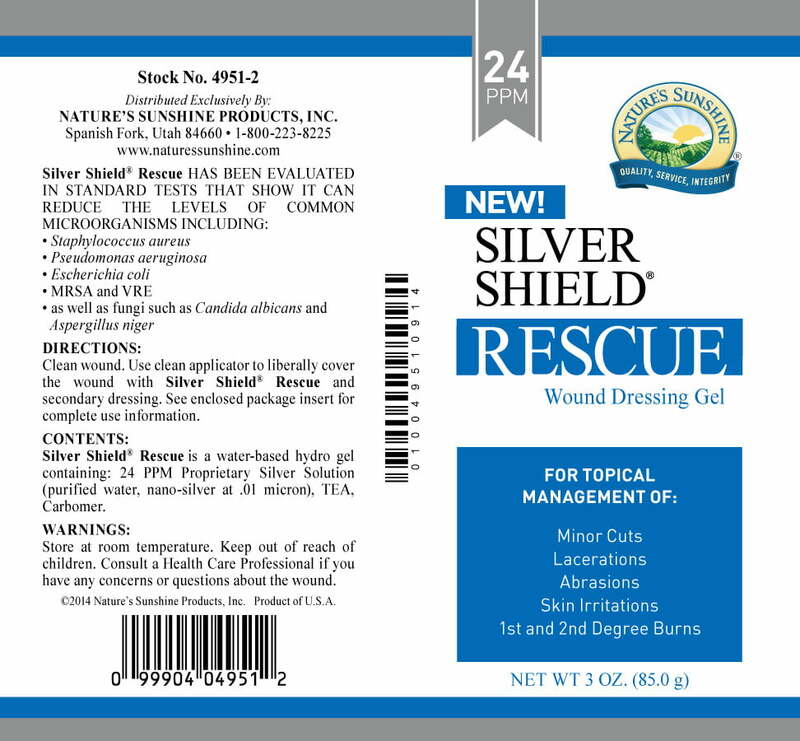 Nature’s Sunshine uses a patented process to manufacture Silver Shield Rescue Gel using Bioavailable Aqua Sol technology. 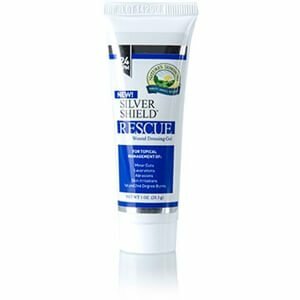 This product contains 24 ppm of the finest particle-sized silver.